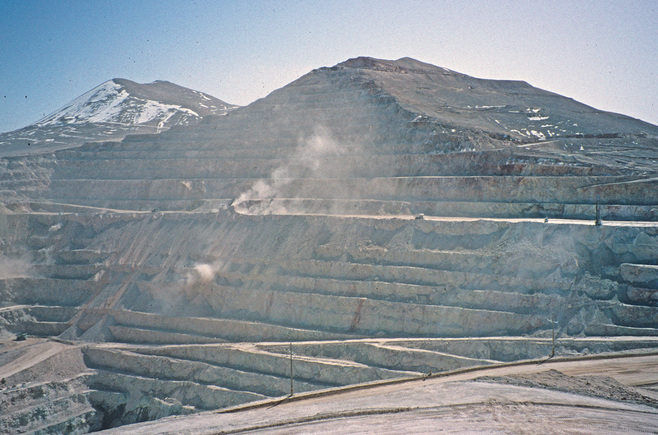 Recently replaced Chuquicamata as the largest copper mine in the world. 170 km SE of Antofagasta. 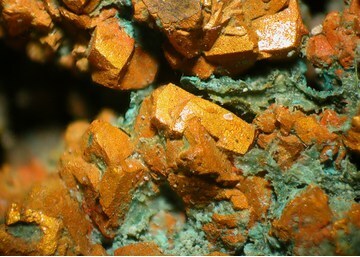 A 'super giant' copper deposit. Reference: Gibbons, Jack. (2018) "Magmatic-hydrothermal evolution of the pampa escondida porphyry copper deposit northern, chile." PhD diss., The University of Arizona, 2018. Reference: Economic Geology, Vol. 96, 2001, pp. 307-324; Econ Geol (1985) 80:1227-1258; Alpers, C. N., & Brimhall, G. H. (1988). Middle Miocene climatic change in the Atacama Desert, northern Chile: Evidence from supergene mineralization at La Escondida. Geological Society of America Bulletin, 100(10), 1640-1656. Reference: Bárbara Romero, Shoji Kojima, Chilong Wong, Fernando Barra, Walter Véliz and Joaquin Ruiz (2011): Molybdenite Mineralization and Re-Os Geochronology of the Escondida and Escondida Norte Porphyry Deposits, Northern Chile. 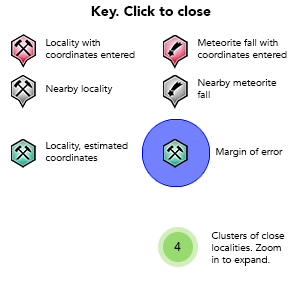 Resource Geology 61, 91–100. Reference: Singer, D.A., Berger, V.I., and Moring, B.C. (2008): US Geological Survey Open-File Report 2008-1155.; Alpers, C. N., & Brimhall, G. H. (1988). Middle Miocene climatic change in the Atacama Desert, northern Chile: Evidence from supergene mineralization at La Escondida. Geological Society of America Bulletin, 100(10), 1640-1656. Reference: Econ Geol (1985) 80:1227-1258; Alpers, C. N., & Brimhall, G. H. (1988). Middle Miocene climatic change in the Atacama Desert, northern Chile: Evidence from supergene mineralization at La Escondida. Geological Society of America Bulletin, 100(10), 1640-1656. Reference: Gibbons, Jack. (2018) "Magmatic-hydrothermal evolution of the pampa escondida porphyry copper deposit northern, chile." PhD diss., The University of Arizona, 2018.; Gibbons, Jack. (2018) "Magmatic-hydrothermal evolution of the pampa escondida porphyry copper deposit northern, chile." PhD diss., The University of Arizona, 2018. Chili Komitee Nederland and Onderzoeksgroep Multinationale Ondernemingen Latijns-Amerika (MOL) (1983) Het koper van Chili. Amsterdam, 55 pp. (in Dutch) (p. 25). Brimhall, George H., Alpers, Charles N., and Cunningham, Aric B. 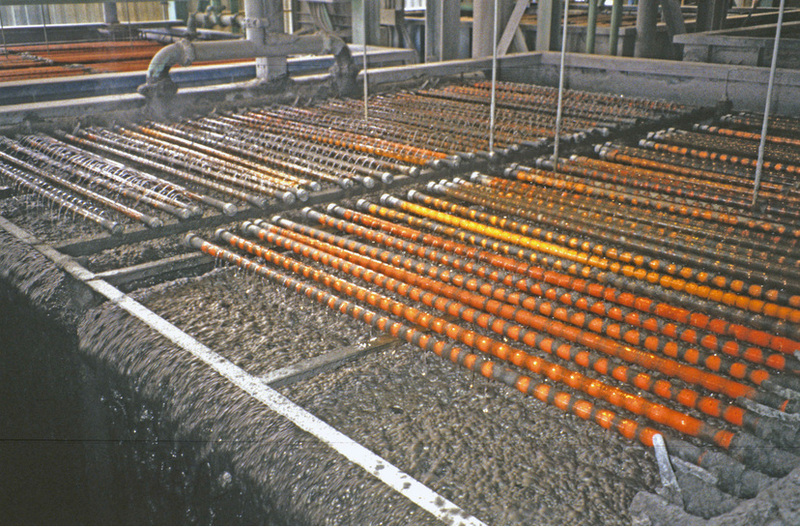 (1985) Analysis of supergene ore-forming processes and ground-water solute transport using mass balance principles. Economic Geology, 80(5), 1227-1256. Alpers, C.N. and Brimhall, G.H. (1988) Middle Miocene climatic change in the Atacama Desert, northern Chile: Evidence from supergene mineralization at La Escondida. Geological Society of America Bulletin, 100(10), 1640-1656. 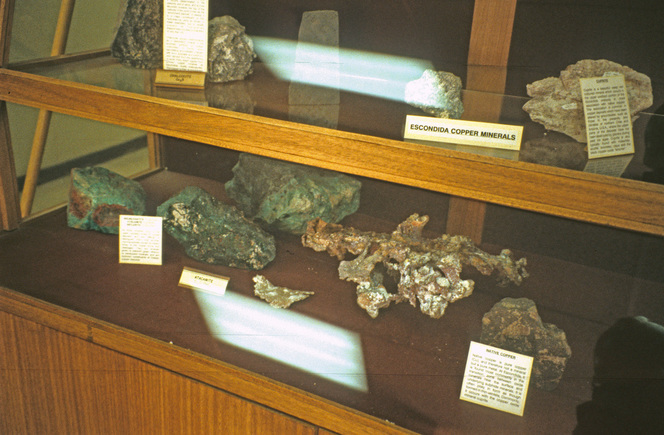 Ortiz, F.J. (1991) Discovery of the Escondida copper-containing porphyry deposit, Region II, Chile. Minerales, 46, 5-18 (in Spanish). Padilla Garza, Ruben A., Titley, Spencer R., and Pimentel B., Francisco (2001) Geology of the Escondida Porphyry Copper Deposit, Antofagasta Region, Chile. Economic Geology, 96(2), 307-324. Cooke, David R., Hollings, Peter, and Walshe, John L. (2005) Giant Porphyry Deposits: Characteristics, Distribution, and Tectonic Controls. Economic Geology, 100(5), 801-818. Singer, D.A., Berger, V.I., and Moring, B.C. (2008) Porphyry copper deposits of the world: Database and grade and tonnage models, 2008. United States Geological Survey Open-File Report 2008-1155. Fischer, W. (2011) Eine Mineralienreise durch Chile & Argentinien. Mineralien-Welt, 22(2) 38-48 (in German).